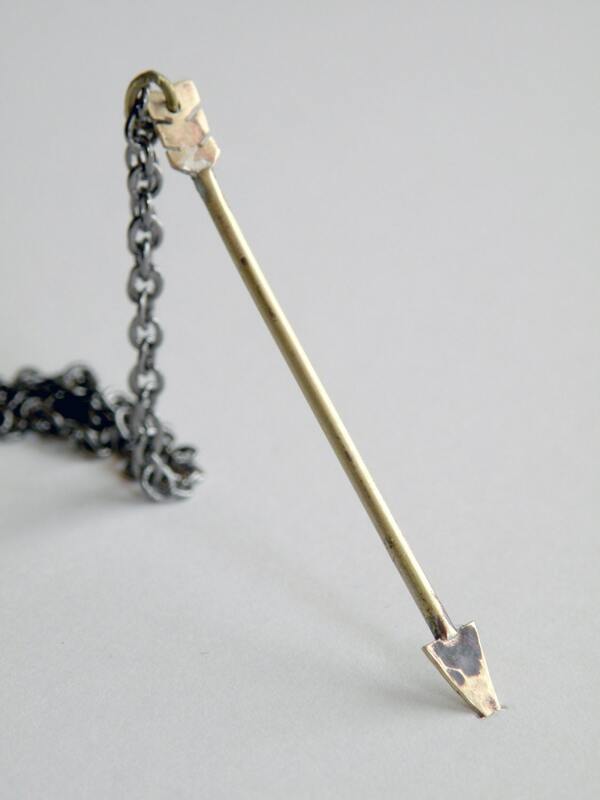 I use beautiful golden hued brass, and carefully hand fabricate this one of a kind arrow pendant. 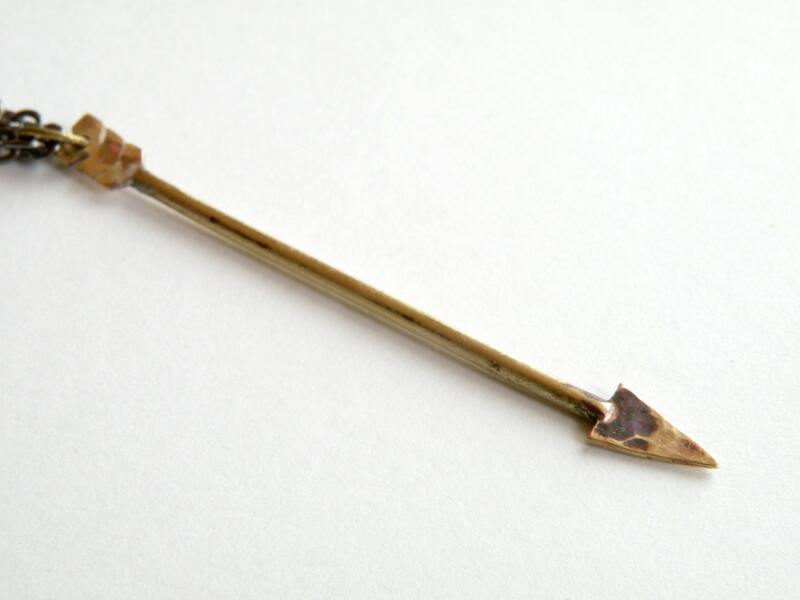 The arrow is approximately 2.5" long. 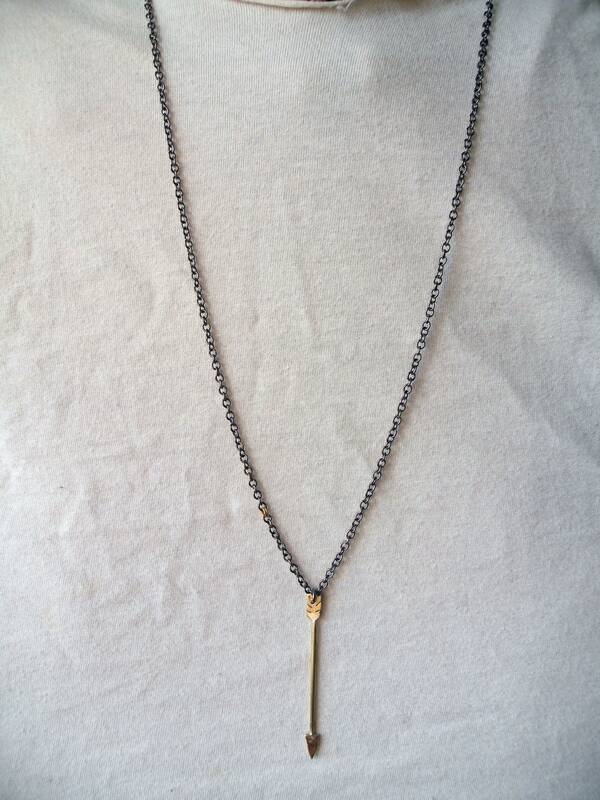 It hangs on a gunmetal chain 26" in length, with one 14k gold plated link. 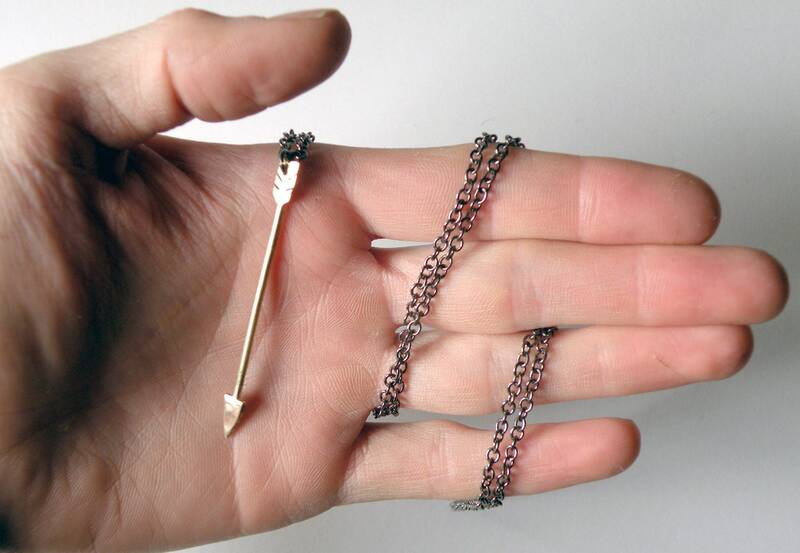 - This can also be made in sterling silver. 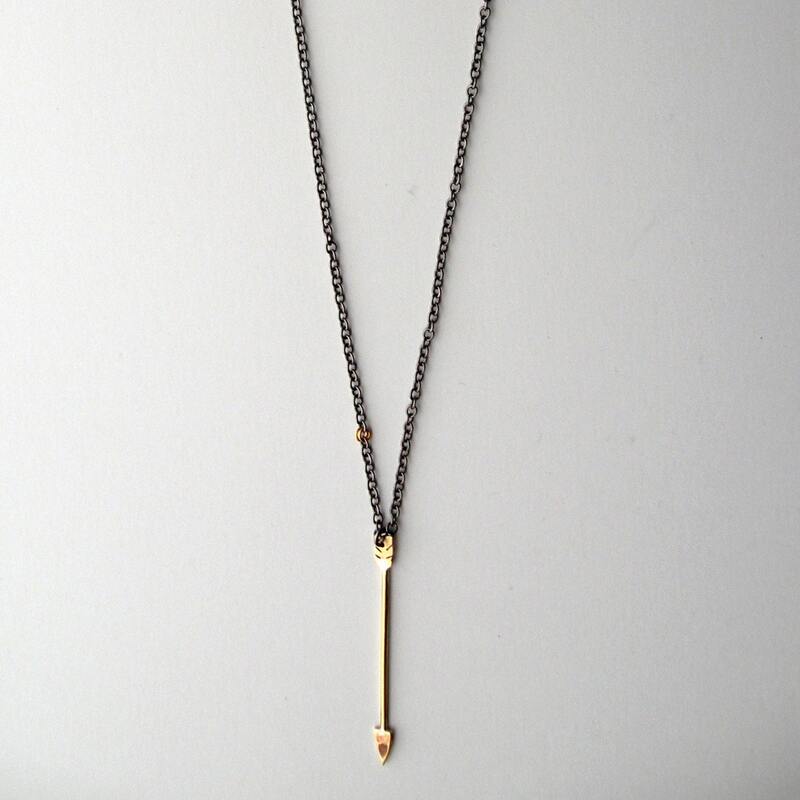 I'm happy to adjust the length of the chain, or make any custom changes as specified. Just send me a message!